Stachybotrys chartarum is an infamous plague on the minds of businesses and homeowners alike. Its greenish-black slimy consistency finds its way into any climate or disaster that encourages excessive stagnant moisture and heat. What is Stachybotrys Chartarum? It’s the toxic black mold. Stern’s trusted Manhattan mold removal team knows black mold inflicts harm on the unsuspecting, and staying informed can prepare you for the uncertainty that black mold represents. Mycotoxins found in black mold spores can trigger symptoms like skin inflammation, respiratory issues, body weakness, nausea, and even hemorrhaging. If you’ve been feeling out of sorts, Stachybotrys may be present. If you aren’t a professional mold removal expert, your attempts at removal can further spread spores of black mold. When you disturb black mold it releases spores which can result in worsening symptoms. If black mold is a problem, hiring a Manhattan mold removal professional is a wise solution. 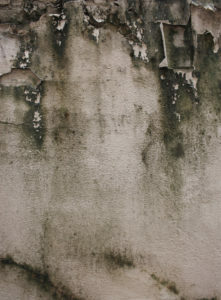 A colony of black mold spores can inhabit soil, attach to plant life, and adhere to many various building materials. Places with high cellulose and low nitrogen counts are favorite hangouts for black mold. Trust a Manhattan mold removal expert to test your space for mycotoxins. If the test shows positive, we are certain our experts will remove it! Contact Stern Mold as soon as possible to get an inspection. We’ll put a stop to uninvited guests who thrive on your property!